"There are Endless Lake Garda Excursions! We'll tell You about Some of the Best Ones..."
There are so many Lake Garda excursions you can do that it is more difficult to decide which one you will do first! You can literally set off in any direction from the Lake and do a great day trip to somewhere special. However, to save you wondering where to go, we're going to tell you about our best trips from Lake Garda and leave you to decide which ones you would like to see! Venice is a fabulous city and well worth visiting. This famous city makes for one of the best Lake Garda excursions. 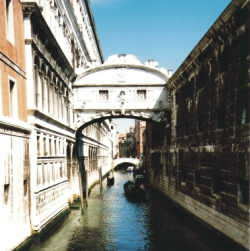 Taking a trip on a gondola is a wonderful way to see the city and sure to be a major highlight! While it is not cheap to do this, if you can afford it, then you will not regret this very romantic way of discovering Venice. St. Marks Square has got to be one of the most famous squares in the world! It is so impressive and is always buzzing with life and things to look at. The architecture in Venice is amazing too, and the fact that you have to use boats to get around this unique city just adds to the whole experience. Milan is a large and vibrant city, full of great things to do. The Cathedral here is a major attraction and is a hugely impressive building. The city is also lined with the most fashionable shops you will find anywhere. Loads of celebrities come here to shop, so why not enjoy some serious retail therapy in this famous city! 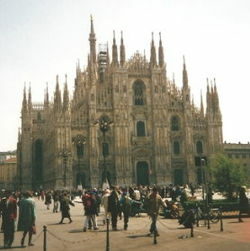 Milan is the biggest city in Italy with a population of over 4 million people. Milan is also the country's financial centre...so along with the leading fashion houses here means that this city has a serious amount of wealth! This is reflected all around the city, so if you enjoy the finer things in life, then a day here will be sure to delight. Did you know Milan has the first official seven star hotel in world! A favourite of the Lake Garda excursions for the big city and fashion lovers. 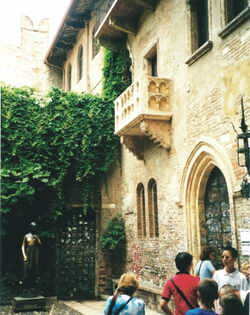 Although Verona is best known for its world famous Opera, it is also a great city to visit in its own right. It has many lovely buildings and is full of history. You can visit Romeo and Juliet's famous Balcony or enjoy the views over the Adige river. It's a great place just to wander round and is very close to Lake Garda, making it one of the easiest Lake Garda excursions. While Lake Garda is the biggest lake in Italy, there are also other lakes worth visiting in the North. Lake Como, Maggiore and Lugano are all found North of Milan close to the border with Switzerland. They are also situated in mountainous areas, making the scenery at each of them lovely. The lakes tend to be long and narrow in shape, and although they are very beautiful and well worth a trip to, in our opinion they do not offer the variety of places or activities you can find at Lake Garda. It is a bit of a trek from Lake Garda to get to these lakes (probably two and half to three hours), but if you do make it you will not be disappointed. If you are driving from other countries, perhaps you should consider stopping there enroute. (There are also some other lakes closer by, but these are smaller and less well known). We love the Dolomite Mountains; they are so dramatic and spectacular. While not as high as some parts of the Alps further north, for sheer drama and wow factor they take a lot of beating! In places the peaks rise almost vertically, like massive pillars of rock, and the orangey colour they turn looks amazing as the sun sets. We have driven through the Dolomites a few times because we love them so much. We have also skied there and found that, not only the skiing to be really good, but also the prices for ski hire and passes were very reasonable. From Cavalese right up to Cortina and beyond, you will find loads of slopes to choose from. If you love mountains then this will definitely be one of your favourite Lake Garda excursions. Modena is almost due south of Lake Garda and is the place to go for any car enthusiast! No where else on earth can you find so many exotic cars being made so close to each other. Within a few minutes of each other you can visit the factories and museum for these famous car makers. We really enjoyed our trip there, and dinner at the restaurant opposite the Ferrari factory gates (where Enzo Ferrari himself used to eat) was pretty cool! Also a lot of fun was watching some Ferraris flying around the Fiorano test track at full chat! The museum was well worth a visit and the whole town of Maranello is packed full of car memorabilia shops. A top car lovers choice of Lake Garda excursions. All these famous motorbike manufacturers make it one of the favourite Lake Garda excursions for bikers. Whilst all the factories are in different directions from Lake Garda, they are all within reach for a day trip. Why not take a day trip and visit one of these famous names in biking! If you are want to visit a car or bike factory, book a place with them well ahead of time. Remember these are some of the most famous names in the world and demand is sky high. For makes like Ferrari, it is actually now very difficult to get a trip round the factory without being a customer! Always check first to avoid disappointment. What is your most Enjoyable Lake Garda Excursion? Do you do a fantastic excursion from Lake Garda? Why not share your story about it and you are highly likely to get your own spot on our website! Your story could well feature on a dedicated web page and may even get in our newsletter too! How good would it feel to show your friends and family your own Lake Garda story on a well respected Lake Garda site! We love pictures as well, so feel free to send us your best shots and there will be no mistaking you then!